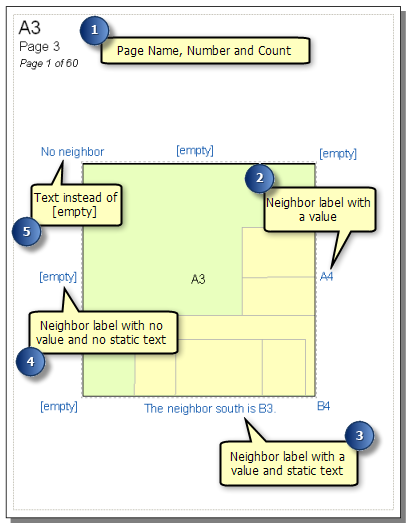 I was trying to figure out how to use dynamic text from an attribute table in a collection of Data Driven Pages in ArcGIS 10. I've looked in the help files, but can't find anything on dynamic text from attribute tables. The only attribute table accessible through Dynamic Text is the attribute table of your Data Driven Pages index layer. I'm assuming your Data Driven Pages map book is based off of your grid layer, and if so then you're in luck. You have probably looked at Using Dynamic Text with Data Driven Pages in the ArcGIS help files, but you may have missed the 'Tip:' section near the end of the page that explains this. Labels from attribute tables are dynamic. If you are looking for placing attibutes you want annotation. Otherwise you just have the option to label objects with their attributes. Not the answer you're looking for? Browse other questions tagged arcgis-desktop arcgis-10.0 data-driven-pages dynamic-text or ask your own question. Why is the dynamic text on data driven pages not displaying a value from the grid attribute table? Auto-populating dynamic text for attribute table information on multiple layers within MXD with Data Driven Pages?